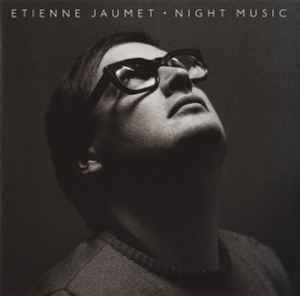 The long drone and steady beats of "For Falling Asleep" pulls you into Etienne Jaumet's NIGHT MUSIC, preparing you for the journey. Even as that track delivers some late night easy listening jazz sax into the mix, it takes that line and transforms it into a buzzing synth, adding a certain frisson. You can hear Carl Craig's hand at work here: the smoothness, the Detroitian shimmer. Indeed, "Entropy" has a sleek, futuristic feel that wouldn't be out of place on a Planet E record. "Mental Vortex" and "Through the Strata" on the other hand, offer up a sort of techno-jazz fusion (the former with all electronics, the latter with what sounds like bagpipes), and the horns on "At the Crack of Dawn" feels like a dawn on a distant gas giant planet. Only five tracks, but with a surfeit of ideas.